Mumbai, April 4th, 2017: AGP World is all set to enthrall the audience with their intense dramatic play called Barff on the 6th and 7th of April at Prithvi Theatre. The man behind the story and direction is none other than the extremely talented Saurabh Shukla. “I’m very excited to bring my new play to Prithvi theatre this month. Barff is a Hindi thriller set in a wintry night of Kashmir. 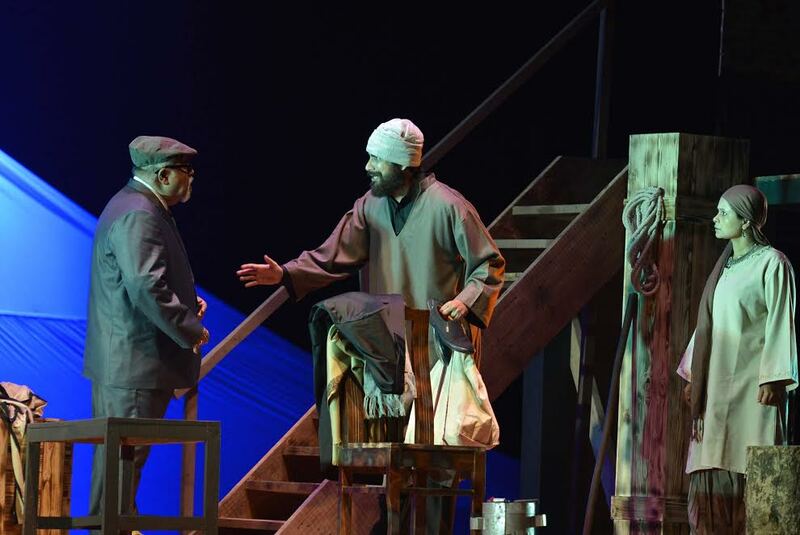 It’s a very unusual play and with visual grandeur,” Saurabh said. The cast is compact, made up of three flawless actors; actor/director Saurabh Shukla, Sunil Kumar Palwal who was last seen in the movie Jolly LLB 2 and popular film and TV actress Sadiya Siddique. It would be interesting to see Saurabh Shukla who is more commonly seen in comic roles, to perform in a Hindi thriller after quite a while. Producer Ashvin Gidwani said it was a “special experience” for him and seems confident about the audience enjoying the play as they have been receiving an overwhelming response wherever they have performed in India.